From the introduction of the first mobile phone in the Netherlands in 1939, then still known as mobile phone, until the arrival of the car phone in 1980, all connections made through an operator. Subscribers to the public network aremostly business customers such as fault mechanics, sales representatives and doctors. In March 1980, the first automatic telephone car started. An attendant is no longer necessary and the device is also useful to the networks of Germany, Austria and Luxembourg. The corresponding car phone is available in two versions: Type Castor and Pollux. In the latter type are horn, keyboard and’display’ a whole. Initially, based on historical experience with the manually operated public mobile telephone network nationwide, estimated that it would have just enough capacity to approximately 6000 subscribers to the service to connect. It soon became clear, however, that so many and long discussionswere held that the number of connections to 3500 connections had to be limited. This number has already reached mid-1982. In 1985, besides the existing telephone network a second car placed in service (ATF-2) with a capacity of 15000 subscribers. It works alongside our country also in Belgium and Luxembourg. New appliances Carvox the 2451and 2452, and also this car phones are still mounted in the car. 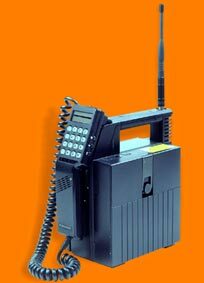 On 1 May 1986 for the first transceiver offered portable and outside the car to use, the Carvox 2453. 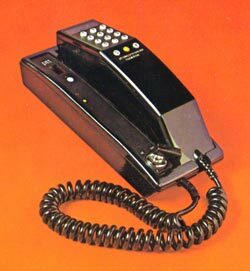 It will take until 1989, when the introduction of the third car telephone before the devices a bit handy and easier to be in ministry. Only in 1990 appear appliances you have in your purse or pocket can take, called handhelds. After the introduction of the GSM car telephone networks closed on 1 October 1999.